The soprano tells us why she’s so happy to be singing the role of Didon with The Royal Opera. 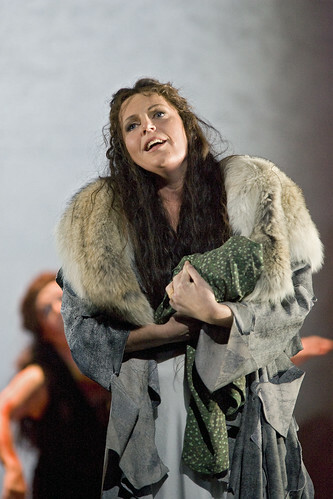 Eva-Maria Westbroek, who recently sang the role of Sieglinde in the Metropolitan Opera's production of Die Walküre , will be performing on Monday in the opening night of David McVicar's Les Troyens. Westbroek, who has sung the role of Cassandre in Netherlands Opera’s Les Troyens, is looking forward to immersing herself in Berlioz’s unique sound world once again. "It’s absolutely overwhelming, amazing music – once you get used to it," she says. "It’s in a world of its own. And Les Troyens is a tremendous work." Westbroek will be singing role of Didon, the proud Queen who creates a utopian kingdom only to see it destroyed by the man she loves. "I wanted to sing Didon very much. Cassandre is phenomenal, but Didon has such glorious music, and the story – it’s divinely beautiful!" Westbroek has hardly been typecast in her career – in fact her last two appearances at Covent Garden could hardly have been more different from each other, let alone from Berlioz’s African queen. 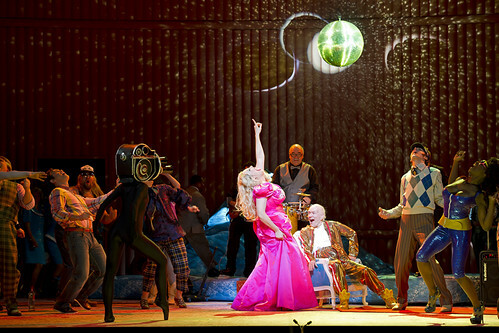 In February 2011 she created the larger-than-life tabloid star Anna Nicole in The Royal Opera’s eye-catching production of Turnage’s opera about modern celebrity. 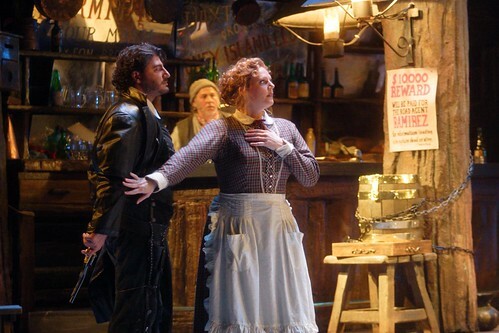 At the beginning of the 2011/12 Season she sang the frustrated, unhappy barge-owner’s wife Giorgetta in Richard Jones’s production of Il tabarro. What united these two performances was Westbroek’s modern sensibility; in each case she brought out the inner life of a feisty independent woman treated badly by the men her life. 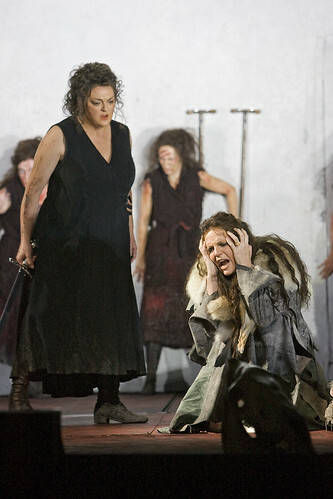 But a grander, more epic tragedy befalls the two women central to Berlioz’s version of The Aeneid. How will Westbroek deal with a role that demands a touch of the old-fashioned tragedienne? "I think it will take some work and that’s why I’m so glad to be doing it. It will be exciting to be a real tragedienne, not just to be very naturalistic and earthy." Previous Didons have included substantial sopranos such as Blanche Thebom, Josephine Veasey, Tatiana Troyanos, Christa Ludwig, Régine Crespin and Janet Baker (definitely not someone you could imagine spending a night of passion in a cave). Does Westbroek think she can summon the requisite regal hauteur? She roars with laughter. "I suppose I will have to find my dignified side. It’s true that I always do roles like Katerina Ismailova (Shostakovich) and Anna Nicole (Mark-Anthony Turnage) who are not the most dignified people. They’re full of passion and earthly desires; they’re not regal at all." She can’t resist pointing out one unintended phrase that Berlioz gave to Didon: ‘Ma carrière est fini’. "I love that line; it makes me giggle. Even the best singers are a little scared of singing those words!" For a soprano, how do the roles of Cassandre and Didon compare in terms of difficulty? "Cassandre is very out-there and dramatic all the time and it’s demanding of a certain part of your voice. Her music is declamatory in an aggressive way, in the middle voice. Didon is declamatory but she doesn’t have that aggression, so you don’t have to be so loud in your very low middle voice. And she’s more lyrical. Didon’s music is just gorgeous." Of all her predecessors, Westbroek makes special mention of Régine Crespin. "She is the epitome of French music and French singing. As well as being regal she is so sensual; I love her very much. But I also think the world of Janet Baker. 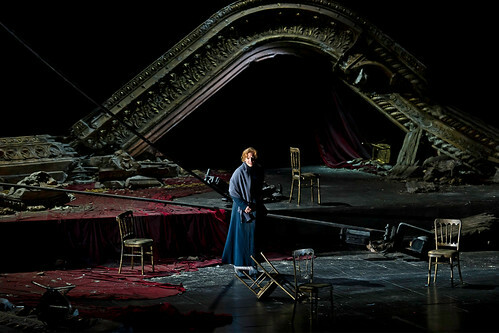 It just shows that two very different voices and characters can make a stunning Didon." Does she have ideas about how she’ll characterize her own Didon? "I’m always very influenced by people – the conductor, for instance", she says. "Working with Tony is always something very special and you always feel like you become a better singer with him. And the director also gives me new ideas and other ways to look at things." 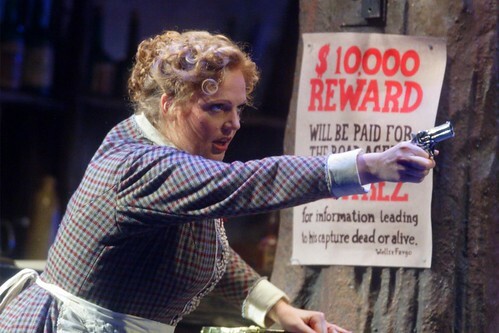 In April, Westbroek was shortlisted for the Royal Philharmonic Music Awards following her performances in Anna Nicole, which premiered in February 2011; and Il trittico, which opened in September 2011. This article was amended from the original version, which appeared in the January 2012 issue of About the House. On the assumption that most of the readers here are relatively literate, it's poor that this copy hasn't been checked more thoroughly. Two basic grammatical mistakes in the first two paragraphs, one of them being on the first line. Seriously? Thank you for letting us know of the errors. They have now been corrected. As happy as we are to see Miss Westboek return to the ROH, we would also like to see some mention of another great singer's return. Miss Antonacci is experiencing a great triumph in a signature role, yet she is somehow left out of all official publicity. This is a dreadful oversight.